Fortnite patch v7.30 is here! This update adds the new Chiller Grenade and features loads of bug fixes and tweaks to the game. Check out the full Patch Notes below. 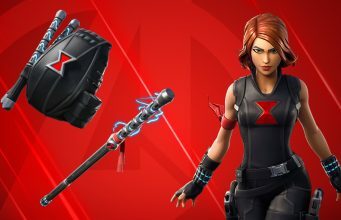 What are your thoughts on this update, is Fortnite overall going in the right direction? Warning: May cause cold toes. Chill your enemies to the core with this new item, it’s a blast! 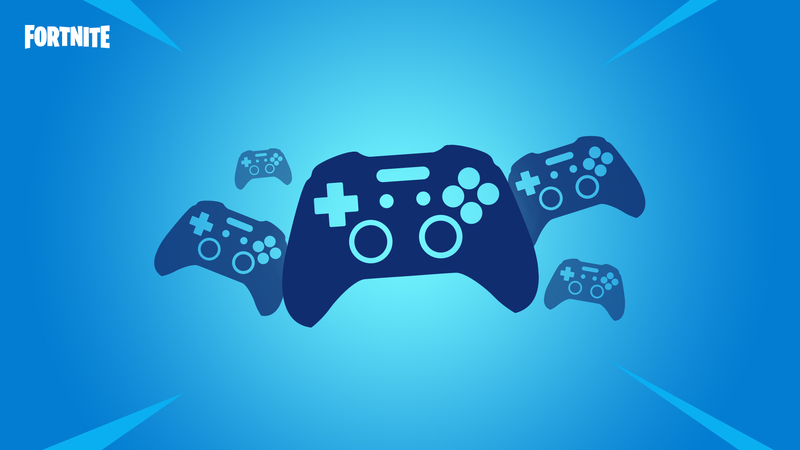 Bluetooth controller support has arrived in mobile on supported devices! Drop in and earn a Victory in a whole new way. All things that glitter are gold in this Limited Time Mode! All weapon spawns are Legendary with increased material gathering. Drop in now and earn that Victory Royale. All weapon drops are Legendary. Increased amount of materials received from gathering. The Chiller Grenade will knock players back, causing them to slide along the ground. Allies, enemies, and vehicles hit with the Chiller Grenade will slip around with icy feet/wheels for a duration of 7 seconds. Drops in stacks of 3. Can be found from Floor Loot and Vending Machines. We’ve updated the visual effects of Cozy Campfires to more clearly indicate when a campfire is in use or burnt out. Reduced the drop chance of Dual Pistol from floor loot from 2.24% to 1.38%. Balloons no longer collide with vehicles. This resolves an issue where vehicles could be damaged when using Balloons while on a vehicle. Memory and networking optimization for Apples and Mushrooms. Added unique vehicle specific messages in the feed when players are eliminated or downed. These were turned off in 7.20 due to an input bug they were causing. 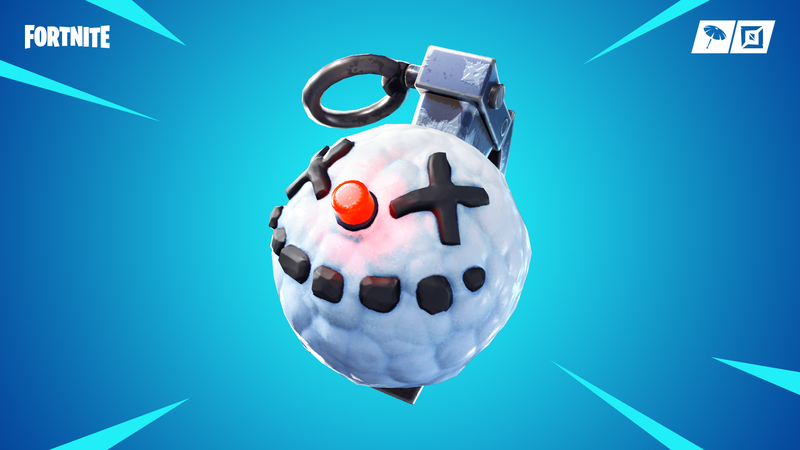 Fixed Boogie Bombs not affecting players that are wearing the Sneaky Snowman when struck on exposed legs/feet. Fixed Sneaky Snowman’s last charge breaking away right after applying if another Sneaky Snowman is present in a different inventory slot. Fixed an issue where the glider would auto-deploy closer to the ground than expected when holding glider redeploy from the bus. Fixed the X-4 Stormwing’s health bar occasionally not displaying. Fixed an issue where players could get stuck in a Sneaky Snowman if it landed next to them. Increased the amount of materials gained from looting Chests and Floor Loot from 20 to 30. Increased the number of materials received from Supply Drops from 40 to 60. Aim assist now targets enemies on vehicles rather than the base of the vehicles they’re occupying. Quickly switching to Traps then weapons on gamepads no longer causes players to shoot or swing pickaxes. Supply Drop balloons now take environmental damage, including damage from explosives or biplanes gun. Fixed instances of a free wall piece showing as placeable but not building. Fixed player cameras from becoming distorted when another player enters a Zipline. Fixed an issue where the magnet on the Zipline could be invisible on use. Fixed an issue where boost visual effects could appear while operating a vehicle near a Zipline. Players can now properly progress through and complete the Week 4 “Use an X-4 Stormwing plane in different matches” Challenge. Screens no longer shake uncontrollably after after walking on icy surfaces. Players will no longer lose the ability to turn the X-4 Stormwing after hitting terrain/structures. The Guided Missile has been removed from Playgrounds. Removed the Spiky Stadium Supply Drop. This will remove the ability to loot the Spiky Stadium as well as Impulse Grenades. This was done due to an issue that was sending players back to the Lobby. Settings from previous Pop-Up Cup tournaments still apply to this tournament. Within this mode, player built structures can now be edited by any player, regardless of team status. This is an experiment that we’d like to try out in this testing environment, but aren’t quite sure of the full impact. We’d love to hear feedback from your experiences playing with this change. Tournaments may now feature leaderboards for each event session, highlighting top performers. Participating in tournaments now requires a minimum account level of 10. Smoothed out drops in framerate that could happen with large changes in view direction and rendered character counts. Added a fuse sound to the Grenade. Fixed emote music overlapping with lobby music depending on the way volume sliders were configured. Show total party eliminations on the HUD if your team wins. Added additional models to the “Cycle Models” list when viewing Wraps in the Battle Pass or Item Shop. The party colors have been restored to Blue, Red, Purple, and Yellow. To distinguish players in LTMs like Food Fight. There are new icons for non-squad teammates and the opponent icons on the minimap. Rotating the camera on the Battle Bus no longer has an oscillating/swimming effect on the minimap. Fixed an issue in the Net Debug UI that would cause it to show a ping value that was too high. Fixed issue where weapons were not equipping when double-clicking in the inventory after swapping their quickbar slots. Fix an issue where teammates scores would not be displayed. Fixed incorrect elimination count information occurring in large team modes. Fixed player sorting order in the player reporting UI. Fixed an issue where some of the leaderboard UI could sometimes blink repeatedly. Fixed an issue where the ‘Spectator’ button in the Player Reporting menu would only select the first player you spectated. Fixed an issue where the playlist selection screen could sometimes show an incorrect selection after leaving a party. Fixed a display issue with the item pick-up prompt that would sometimes occur after opening an ammo box. Fix lobby preview lengths of Pumpernickel, Running Man, Dance Therapy, and Hot Marat emotes. Celebrate Super Bowl LIII with new Los Angeles Rams and New England Patriots uniforms added to the Fourth Down Outfit set. Drop in and represent your favorite team! All players who previously purchased the Fourth Down set will be granted these variants. Fixed weapon animations playing twice for each shot fired in replays. Fixed an issue where camera/lens settings could display incorrect initial values. Fixed an issue where attempting to play an out of date replay selects another replay. Fixed players appearing jittery while using Ziplines in replays. Fixed Boombox music not playing when watching replays. This will display your name as “Anonymous” to all players that are not in your squad. Your account info will still be attached to reports submitted by other players using the Player Reporting feature. This will display all other player names as “Player” unless they are in your squad. Neither of these settings will be functional when playing in a Tournament match. Party Invite Notifications will now appear when in the Game Mode select screen. Accepting the invite from the notification will take you to the proper game mode and join the party. Fixed an issue that could cause some party members to fail to matchmake with a “Version Mismatch” error if a party member joined, readied up, and matchmaking was started in rapid succession. Android: most of Bluetooth controller adapters, such as Steelseries Stratus XL, Gamevice, XBox1, Razer Raiju, and Moto Gamepad. iOS: MFi controllers, such as Steelseries Nimbus and Gamevice. Disabled phone vibration if a gamepad attached. We are rolling out 60Hz support (to be enabled in settings) on select Android devices. We have been working with our partners on optimizations and are rolling this out initially on the following specific models. Fixed an issue causes players to be unable to build multiple structure types while simultaneously holding down the build button and changing build types. Fixed No padlock icon appears on the directional pad when locking with auto-run on mobile. Fixed Several UI buttons having lower resolution than the other buttons. Jam out in Creative! 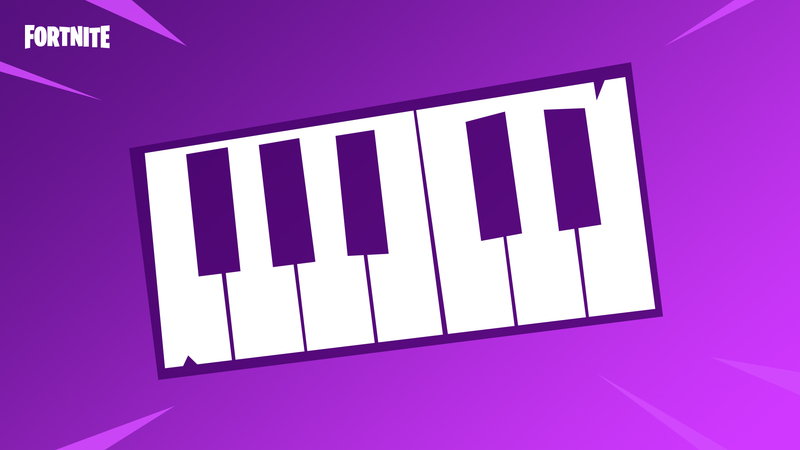 Become a musician with these two new additions and imagine your very own original tracks. Imagine and create your own frozen wonderland with the newest Prefabs available in Creative mode. Added an option to set edit permission per player on your Island. New option to control respawn times. Range 1 – 30 seconds. New option added to end games. The first team to reach a set number of eliminations wins. Range 1 – 10 or Off. After running out of spawns in a game, you can now either become a spectator or be switched to a different team depending on the game’s settings. Range includes “Spectator” and “Team 1 – 16”. The Game Stats screen displayed after Creative games conclude now contains buttons for immediately restarting the game and restoring the Island. Increased the speed that Islands load after a game. Renamed “Game Modes” to “Score Preset” to better clarify what that option does. When joining a game in progress, players are now put in spectator mode until the game ends. Fixed a server crash that could occur when a prefab was despawned. Fixed an out of memory server crash. Fixed Storm damage not applying if the health mutator was set to invincible. Creative mode games now properly set player orientation as well as location. Fixed spawn direction to always face the same direction when spawning. Fixed the Victory Royale animation when using Last Standing option. Fixed an issue where games would not end if a player was spectating. Fixed an issue where joining players would occasionally be able to play a Creative game despite having exceeded respawn limits. 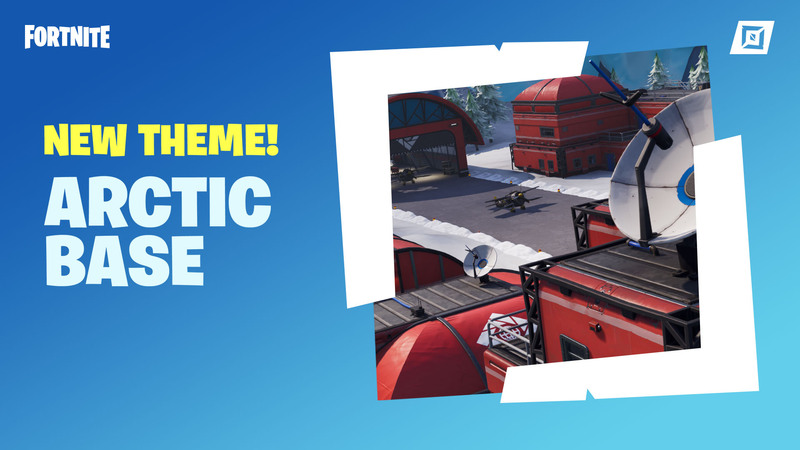 Fixed an issue where players would occasionally return to the Creative Hub in Spectate Mode. Fixed an issue where players could go outside of the playspace of the Creative Hub. 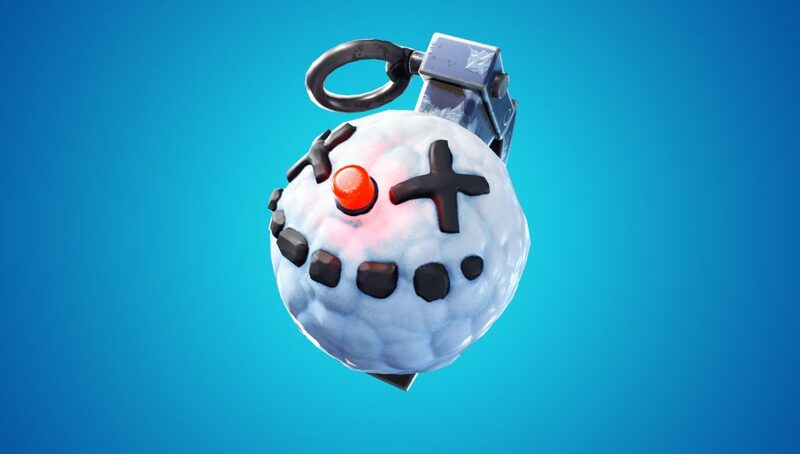 Chiller Grenade added to Creative alongside its release to Battle Royale. Fixed the Wood Resource quantity to be consistent with the other material resources in the Creative Consumables screen. Fixed an issue where the Six Shooter displayed incorrect rarity color in the Creative Weapons menu and game. Fixed an issue where some Balloons would remain stuck in the air after being equipped. Added a drop indicator when holding copied prefab assets or props in the sky, to better predict drop placement. Fixed cases where players had Creative permissions on Islands they did not own or have rights to. Fixed an issue where sections of a prefab would disappear and reappear when copying with the Phone tool. Fixed an issue where the Phone tool would occasionally disappear upon ending a game on a Creative island. Added 6 Arctic Base Prefabs. Added a new Piano Key Gallery. Added a Music Blocks Gallery. Added a Challenge Gallery, which are new elements that disappear when ran through by the player. More functionality coming in future updates. Added Random Chest and Ammo Box Gallery. Spawn rates use the latest Battle Royale loot rates. Added Windmill to the Farmstead Gallery. Added additional Winter Village Building Color Gallery. Added a Challenge Gallery, which are new props that disappear when ran through by the player. More functionality coming in future updates. Torches now cast light with shadow casting disabled. Spawner except items are not spawned but added to the player’s inventory at the start of games. Assign a team to the device to give items to a specific team only. This is a zone you can place that creates collision barriers that prevent players from moving past them. You can set a duration in seconds 3, 5, 10, 20, 30, 60, 120. When an Item Spawner has finished spawning all of its items during a game, its visual effects turn off to indicate it’s dormant. Fixed an issue causing Item Spawners to stop spawning new items if the item it spawned was combined with a nearby pickup of the same type. Removed extraneous stats from vehicle spawner devices. Sentries will no longer reload infinitely when running out of their range. Duplicate Sentry has been removed from Traps. Fixed the Christmas Tree that was appearing in prefabs that would shrink when grabbed by the Phone. Fixed an issue with the Ice Cliffs were they would lose collision when grabbed by the Phone. Fixed an issue with the Elimination Zone where the visual effects would not rotate with the trap. Fixed an issue where the Elimination Zone displayed an incorrect mesh upon placement. Fixed an issue where the Elimination Zone visual effects were not displayed correctly when the boundary limit was changed. Fixed an issue with the Elimination Zone where the boundary settings would occasionally return to default. Fixed an issue where players could not attach the Elimination Zone to walls. Fixed an issue where players with invincibility settings were not affected by the Elimination Zone. Fixed an issue where players who were down-but-not-out were unaffected by the Elimination Zone. Fixed an issue where traps were not destroyed after harvesting the floor underneath them. Fixed an issue where the effects from the Ice Block trap would trigger before players stepped onto the tile. Fixed an issue where adjacent Sentries were destroyed when damaging one with a Sniper Rifle in a Creative game. Fixed an issue where the lantern from the Lucky Landing Gallery would fall through the map when attempting to paste it in a Creative island. Fixed an issue where the vines from the Nature Snow Gallery and the Nature Shrub Gallery would fall out of the map when attempting to paste them in a Creative island. Fixed an issue where elimination counts would not be correct for other teammates when playing in large team modes, Playgrounds, and Creative mode. Fixed a crash related to Player Suggestions. Fixed an additional potential input loss that could result from receiving a gift while viewing the Add Friends screen. Fixed an issue where “Victory Royale” would occasionally fail to display at the end of a Creative game. Fixed an issue where “Victory Royale” would occasionally be presented to the wrong player after a Creative game ends. Fixed an issue where vehicles were displaying the damage stats of traps in the UI. Fixed overlapping Seat Switch and Rotate buttons on the mobile platform. Fixed an issue with a settings tooltip getting cut off screen. Fixed an issue where mobile players did not have a dedicated button to fly downward, in Create mode. Fixed an issue where players were prompted to ‘edit’ player built structures even though the setting to Block Building in Game was turned on. Fixed an issue where players were shown build previews on player built structures though the Block Building in Game was turned on. Optimized performance when using the Phone. Fixed an issue where players would run into low frame rate and instability when placing a lot of torches, from the Castle prefab, in a small area. Quiet Please! I am seeing! Take a peek inside the new X-Ray Llamas. Cleave through enemies…with a ghostly slash! Earn the Spectral Blade by completing this week’s Frostnite Challenge. Survive for 30 minutes three times to collect the Week 5 Challenge Banner. Survive for 30 minutes to earn the Spectral Blade. Available on January 30 at 7 PM Eastern Time. Caches have been removed from Chests in Frostnite. Increased the drop rate of quest items in the Canny Valley quest “Ray on a Rooftop”. “Liner Notes” and “Encore” quest items now also spawn in higher-difficulty theaters. Llamas in the X-Ray tab of the Item Shop will show all of their contents and upgrades without requiring a purchase. X-Ray Llamas must be purchased one at a time. 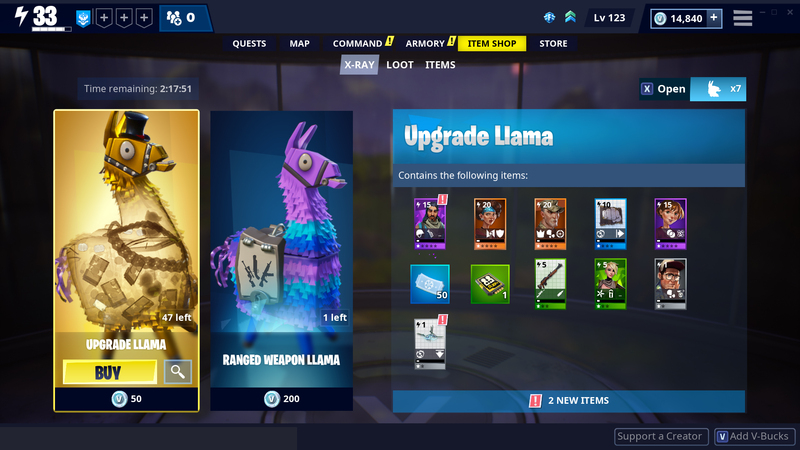 X-Ray Llama contents will reset when the daily store refreshes. Note: Choice packs will not appear in X-Ray Llamas. New ammo icons in the inventory screen. Updated the onboarding announcement popup to show a message informing players to bind any missing keybinds. Updated the Repair the Shelter mission to only show the current health bar that is taking damage in the world instead of showing both the Shield and Shelter at the same time. Shelters health bars are now visible from across the map. Players can now craft certain items in bulk. Fixed cases where players could get stuck at the end game screen when leaving a SSD mission in the middle of a game. Fixed Ceiling Gas Trap damage numbers all appearing as critical hits after the first critical hit. Fixed a layout issue on the “Add To Collection” confirmation dialog if there are a large number of recycled items being returned to the player. Fixed a bug where players who were far away from the End of Match screen when the match ended would not see the screen correctly. Fixed an issue where the Frostnite Exploration quest would not display a notification when the player completed the quest. Fixed an issue where the Storm visual effects would not stop, even if the Storm Mission ended. Allow Crafting Options dialog to craft Deliver The Bomb Tracks. Fixed an issue that prevented Auto Slotting when leveling Survivors from the Survivor Inspect Screen. Fixed the HUD vote timer not disappearing correctly in some situations. Fixed an issue with scroll focus being lost when leveling an item in the collection book. Fixed the details panel on the Llama reward summary to show the acquired amount of stackable rewards rather than the player’s total amount. Selecting a message on the Team Chat radial no longer opens the Menu when switching to the Team chat channel. Fixed an issue allowing players to build through the Deliver the Bomb launcher. Fixed an issue in the Deliver the Bomb mission which allowed enemies to walk through the Depot and Launcher. Fixed an initial selection problem when entering the Perk Recombobulator using keyboard and mouse. Fixed a hitch when navigating between Mission map nodes on the Mission Select map. Several Heroes from past events have been added to the Collection Book. This update includes Heroes who were previously only available in the Event Store and some quest Heroes. Heroes from the Event store and Quests can be slotted, but cannot be recycled. These Heroes will not consume inventory space on your account. When taking damage from the Wild Rift, the character should now play the correct flinch animations. Fixed an issue that caused the Ice King to have an incorrect pose in the lobby. She is now properly classified as the Fleetfoot subclass with updated descriptions. Fixed a bug where Lynx Kassandra was playing the wrong idle animation in the main menu. Fixed an issue that granted players 30% building reduction instead of 20% with the perks Preplanning and Creative engineering. Now multiple traps, ammo, and ingredients (Blast Powder and Duct Tape) can be crafted at the same time by selecting a quantity in the crafting interface. These are crafted all at once, taking a single craft time to produce. Added Grenade and Rocket launchers to the list of possible results for the Ranged Weapon Transform Key and the Weapon Transform Key. This includes the Hydraulic and Scavenger Launchers). Fires cannonballs that explode and break into three more explosive mini-cannonballs. Available on January 30 at 7 PM Eastern Time until February 6 at 7 PM Eastern Time. 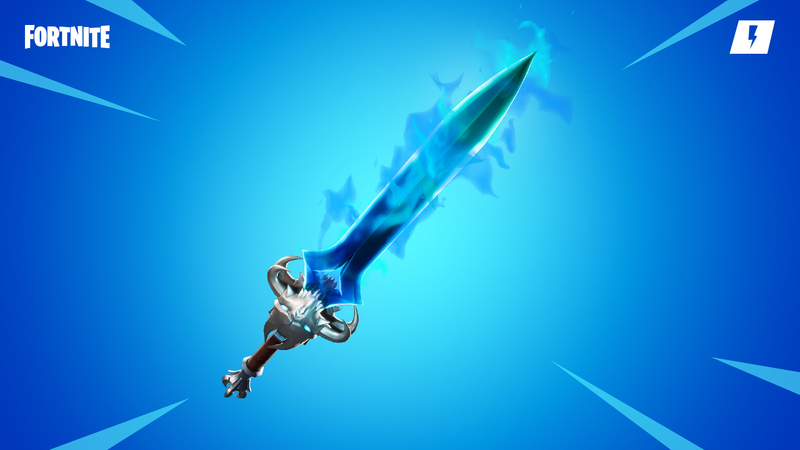 The Spectral Blade Sword will be available as a Frostnite Weekly Challenge reward. Deals high sustained damage, with moderate impact. Spectral Slash – Warp to the targeted enemy performing a spectral cleave, dealing heavy area damage which may stagger smaller enemies. Leap Attack can now be used in the air and correctly interrupts basic attacks when used. Fixed not being able to drop Remote Explosives that are out of ammo. Items removed from the Collection Book will now grant PERK-UP & RE-PERK when recycled or reset. Recycling or resetting Common/Uncommon/Rare schematics will only grant PERK-UP & RE-PERK from the perks that are actually available/visible on the item. Hit Markers should no longer show up when shooting anything that cannot be damaged. The Cozy Campfire Trap will now heal multiple players simultaneously. The Tier 1 Dragon’s Might Shotgun now shoots the correct projectiles. All Players now receive a message when a Storm Chest has been discovered. Storm lightning strikes will now damage objects they hit, instead of destroying them. Patrol Wards now protect against Storm lightning strikes. The Storm Shield now has the same transparency between all Save The World game modes. Traps placed in the Storm Shield will now correctly store their durability when exiting and re-entering the Storm. Prevented the camera from going below the water surface when looking downward. When fighting the Storm King with a controller, the aim-assist will lean towards any weak spots, if able. The Tail of the Dragon Perk visuals has been updated for the trail of energy AOE that persist in the world. Fixed Canny Valley undeployed telescopes changing to deployed visuals after being hit. Fixed an issue with certain Rocket Launchers not showing explosions whenever hitting the ground in Frostnite. Corrected an issue where some elemental Rocket Launchers were losing their muzzle flashes. Fixed an issue that caused players in other game modes to not be able to properly join a party through an invite. Storm and lightning now have sound. Added more ambient sound for the Command, Heroes, and Armory tabs. Music no longer restarts when switching tabs in the Item Shop. Fixed an issue with the audio effects for the transformation of Lars’ van playing twice. Fixed audio temporarily cutting out after skipping intro cinematics. Added notification sounds for matchmaking that can play even when the game is inactive or minimized. This can be configured under “Allow Background Audio” in the settings menu. Adjusted the timing code for automatic weapons to reduce the effect that frame rates have on fire rates. Fixed an issue where some car destruction visual effects were not rotated properly, causing the car’s position to visibly jump once the car was destroyed. Fixed an issue preventing building repair animations from fully playing in some cases when being damaged and repaired simultaneously. The “leafy” particle effects no longer permanently remain on players after moving through corn fields. Fixed an issue where some audio sources would be audible over shorter distances than other platforms. Moved to a more efficient memory allocator on Switch; significantly reducing crashes due to out of memory. Reduced hitches on Switch caused by garbage collection. Improved level streaming performance on Switch, speeding up building load times. Increased texture pool size on Switch by 100MB to reduce issues with blurry textures. GPU performance improvements for Switch – improved screen resolution. Doubled the limit for the number of cosmetics that can be displayed on the screen as we now have more free memory. Enabled client-side prediction for high-end mobile devices in order to reduce networking/movement correction hitches. Want to track the top community issues? Head over to our Fortnite | Community Issues Trello board here.